Tom & Cindy’s team recently put together some Holiday Baskets for Koinonia to provide to local families who might need some help around the holiday season. 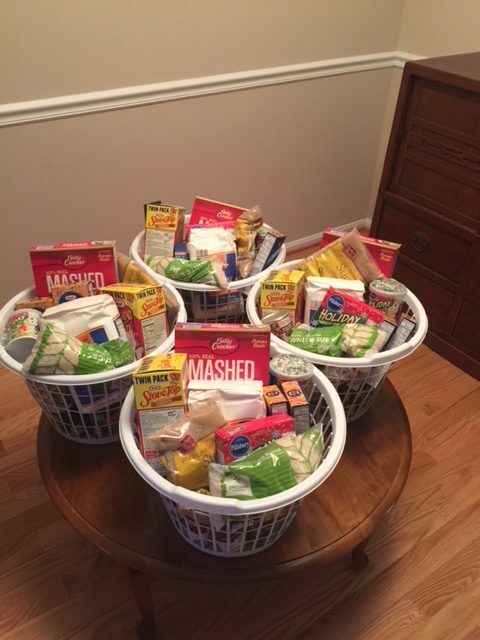 If you also wish to participate in this wonderful program that makes a direct impact on families in our community, please check out Koinonia’s Suggested Basket Items List and drop off your basket(s) to Franconia United Methodist Church (stage room), 6037 Franconia Road, Alexandria, VA, 22310, by Monday, December 18, 2017, between 6:00am – 8:00am. The Koinonia Foundation (http://www.koinoniacares.org/) is a local nonprofit organization that provides emergency and self-sufficiency services to the greater Kingstowne/Franconia area.